Mt. 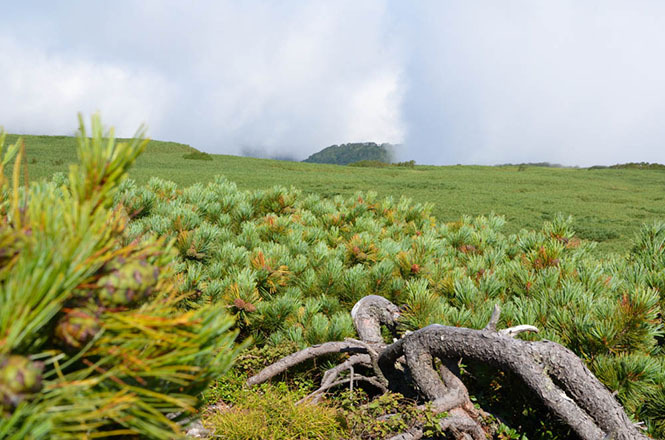 Hakodake (函岳) in Bifuka town is located in the northern part of Asahikawa city. 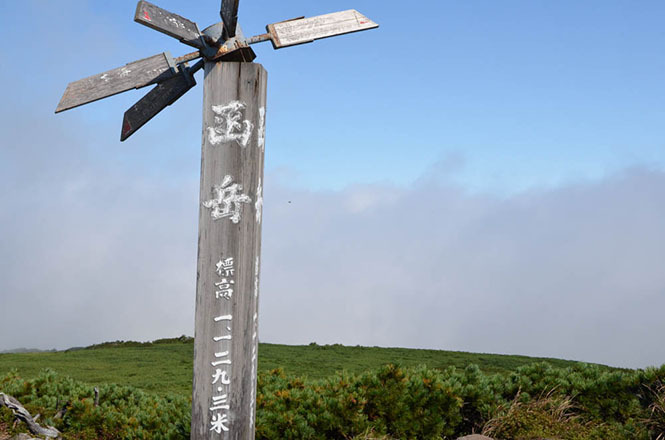 Altitude of the mountain is 1,129 m. A signboard written as "Superb View, Mt. 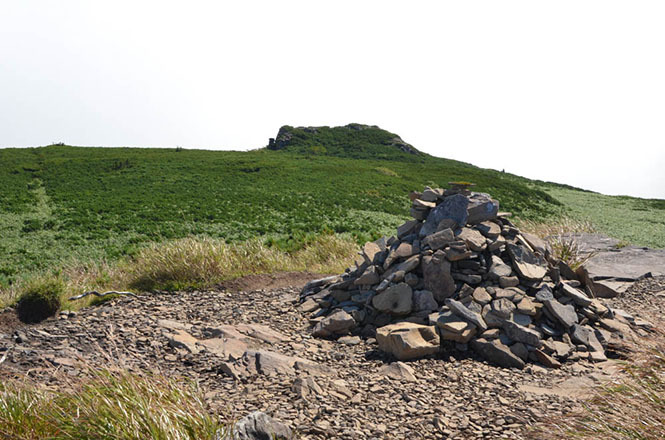 hakodake (絶景函岳)" was built along Japan national route 40, and I reach to the mountaintop when I followed a road. Tourists did not climb the mountain on foot. But I had to drive on the gravel road of one car width for a little less than 30 km. Speed did not rise, and it took about 1 hour from Bifuka to the mountaintop by a car. 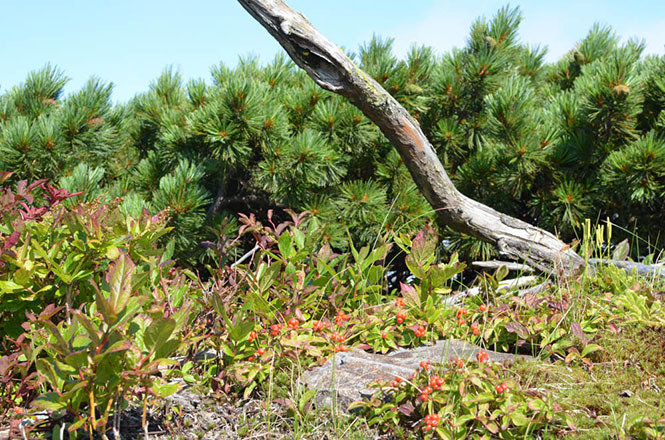 It was a place that many people did not visit here very much, and nature was very rich. I saw North Fox and Yezo Squirrel on the road several times. It was cloudy on that day, but there was the mountaintop above clouds and it was clear weather above the clouds. 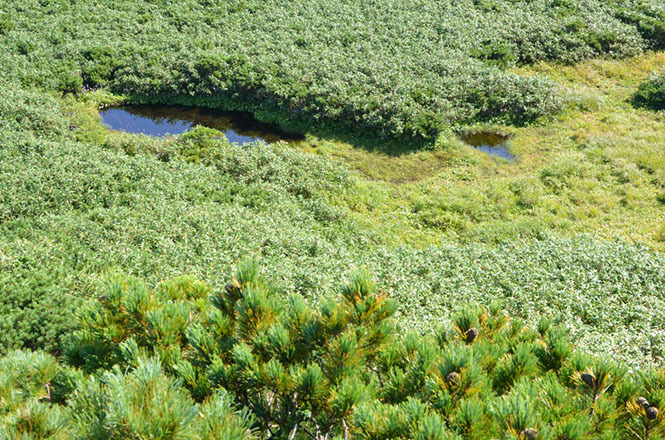 Alpine plants grew thick, and I felt just like climbing Daisetsuzan mountain range. 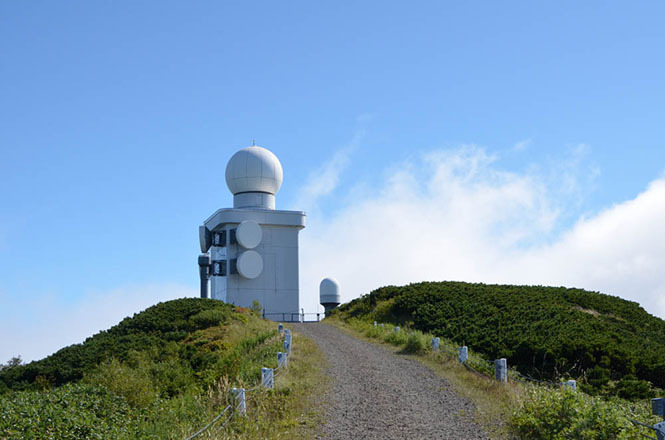 There is a Meteorological Station on the mountaintop. 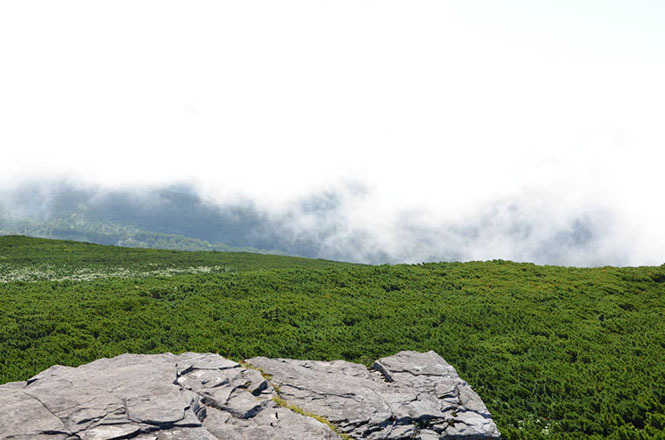 The tourists can look over "Superb View, Mt. hakodake" after going round to the back via the side. There were cliffs, and bamboo grass spreaded over under my eyes and there were ponds, too. If it was not the clouds, it was the superb view certainly. 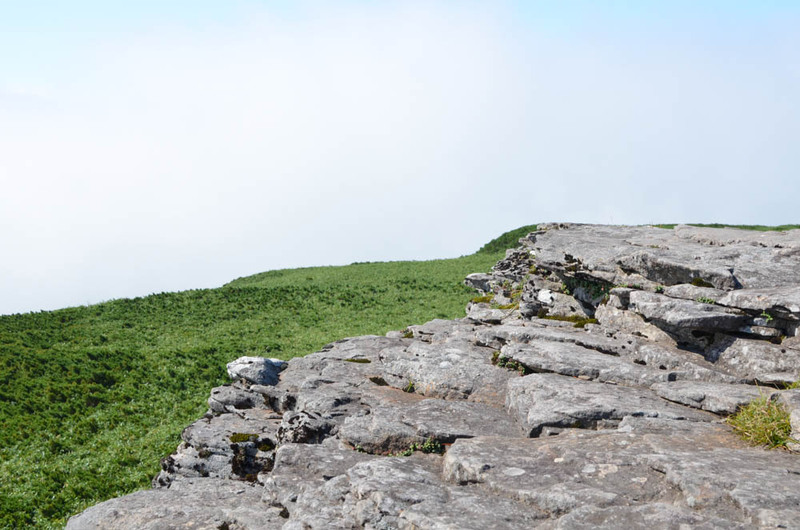 However, the tourists can enjoy feeling like a hermit because the tourists were above the clouds. 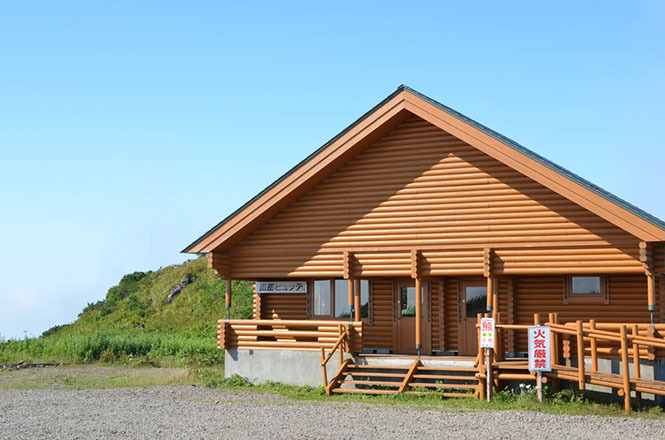 There is Hakodake Hut (函岳ヒュッテ) near a parking lot, and a restroom is installed. By the way, except the parking lot and the Hakodake Hut, there is not a sightseeing facility at all. Beware of bears, too. Refer to following websites for the accommodations around Mt. 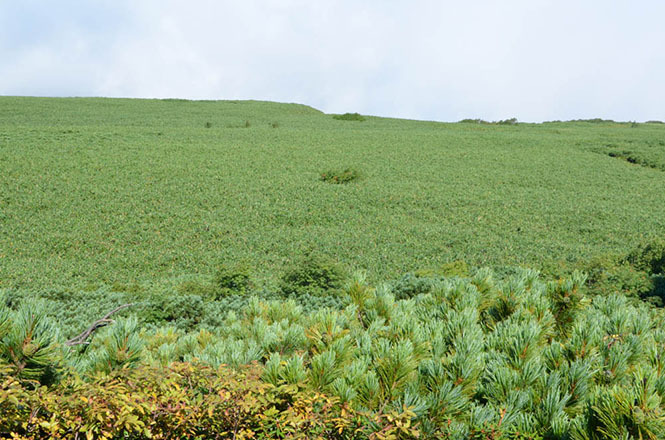 Hakodake.